The Advertising space both offline and online has become a very cluttered environment, magazines, newspapers, tv, radio and millions of websites all with their own advertising campaigns. Many, many companies still choose to buy this type of advertising space or buy customer lists to email or cold call. All in all it can be a minefield to navigate. 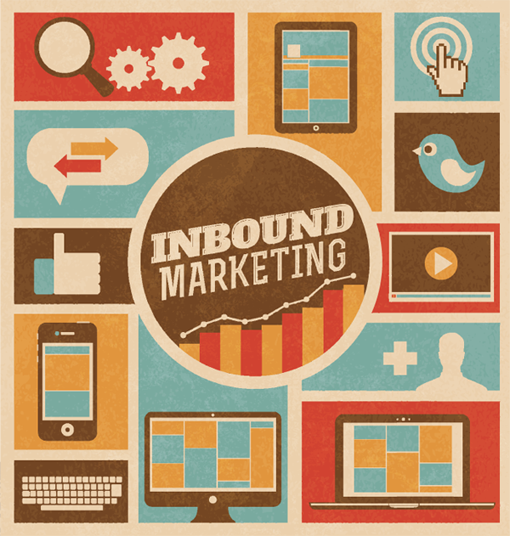 Inbound marketing focuses on earning the trust of your target audience and converting that audience into leads who in turn become ambassadors of your brand and company products and services. You need to create great content that will hit the right notes with the persona of your audience. This includes writing blog posts, website pages, social messages and other content including third party websites such as Linkedin for example. You may be able to write downloadable white papers on a subject matter that will help your audience with decisioning, create online presentations that offers rich content on a subject matter that helps your potential customer before you even speak. By understanding what content is working you are able to personalise the message to that person once they hit your website’s landing page thus having a far better chance of converting the visitor into a sales lead. The theory is simple, rather than interrupting your target audience with ads and sales messages you are creating great content which will generate new business in a trusted environment. You will now be in a great position to sell softly by reaching out to them personally, direct communication methods that lead to email, voice comms or site visits. We can help with your inbound digital marketing strategy or educate you for the process of taking the inbound digital marketing strategy in-house.